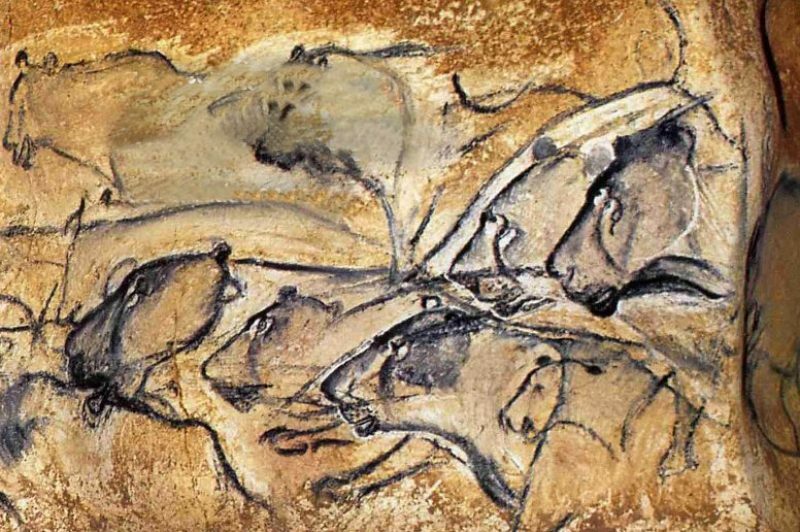 Today, France will be presenting one of its jewels to UNESCO’s World Heritage List: The Chauvet Cave, also known as the Chauvet-Pont D’Arc Caves. They were discovered in 1994 by three cavers and the expectation is that this remarkable site will be the latest one from France to enter the prestigious list. The paintings are 36,000 years old and the cave was closed for 20,000 years after a rockfall. It’s the work of an Aurignacian people that painted on rock 435 representations of animals of 14 different species (bears, rhinoceroses, lions, panthers, bisons…). The palaeolithic paintings cover the walls and galleries over an 800m-long stretch. Bigger than the famous Lascaux caves, this one is not supposed to ever be opened to the public but, as with Lascaux, an identical replica is being created a few kilometres from the original and it’s hoped that this will be open in 2015. The UNESCO experts had already sent out a very favourable message last March, judging that the site corresponded to “all the required criteria” in order to be inscribed on the Heritage list. In contrast, the committee is not expected to put the Chaîne des Puys and the faille de Limagne on the hallowed list, which will also be represented at the UNESCO gathering in Qatar this week. As soon as the meeting opened, the petrol-rich state of Qatar announced a donation of $10 billion towards World Heritage Sites that were under threat from natural catastrophes and conflicts. About thirty “marvels” are expected to join the exclusive club of World Heritage Sites that already numbers 981. Incredible sites will be putting their cases forwards and these include The Qhapaq Nan – a road built by the Incas some 30,000km long linking the Andean peaks in Argentina, Bolivia, Chile, Colombia, Ecuador and Peru. There’s also the buried temple of Rani ki Vav in India.